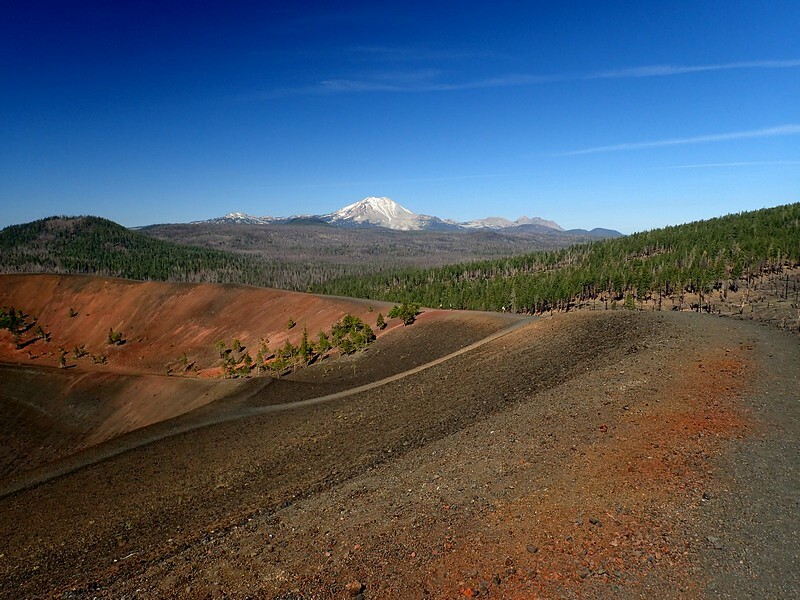 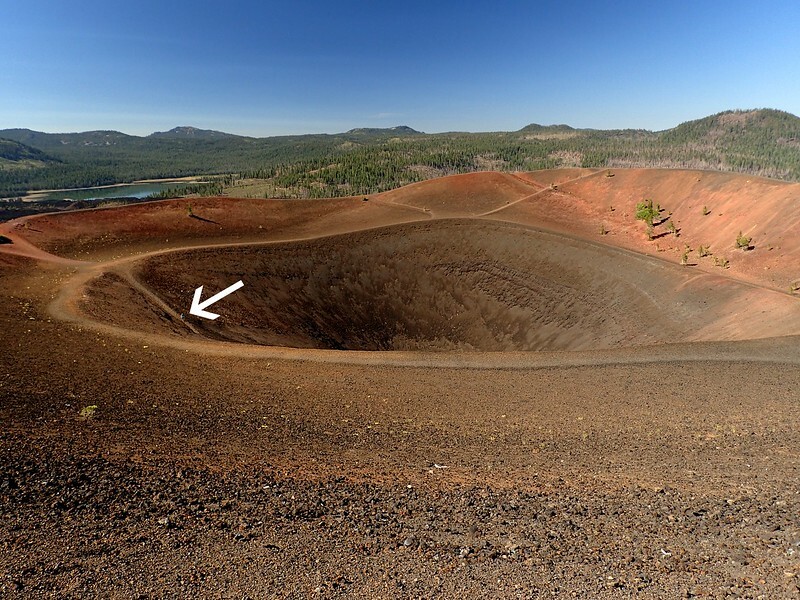 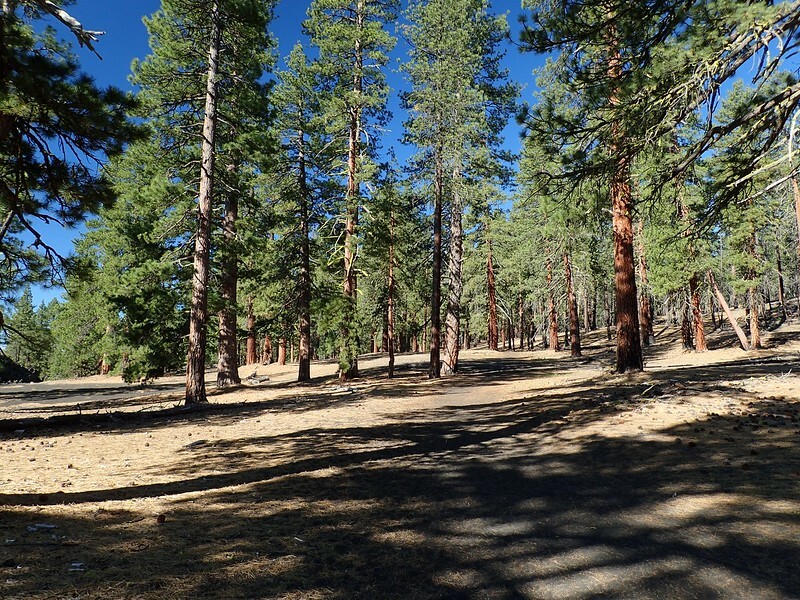 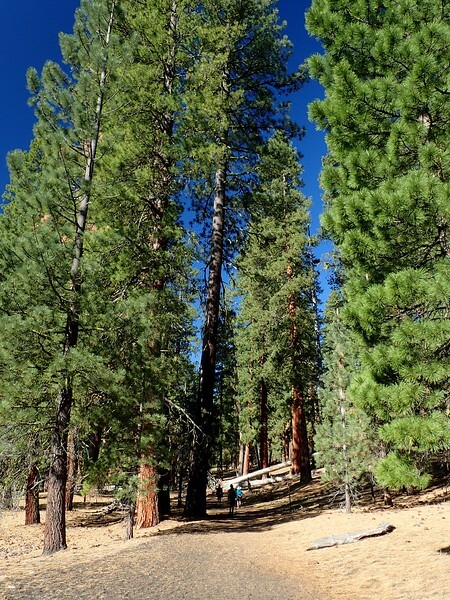 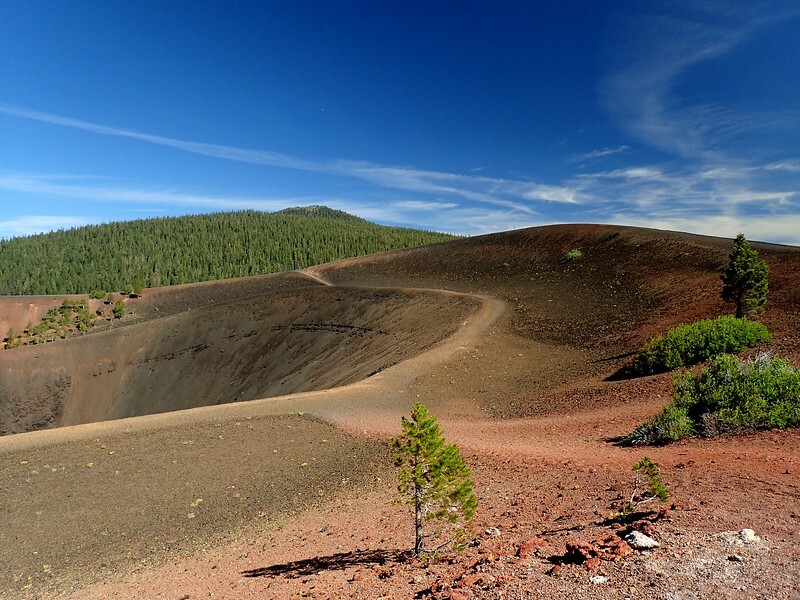 before opening on our goal – Cinder Cone and its promised overlook of those extra special lava beds. 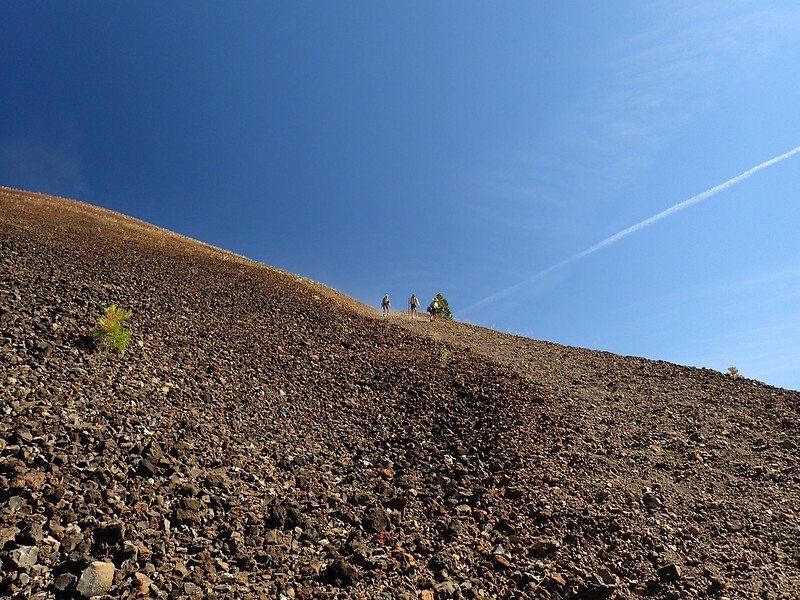 The 750-foot climb up this pile of cinders was easier than it looked from a distance but was still best done with a steady, plodding pace to minimize slippage. 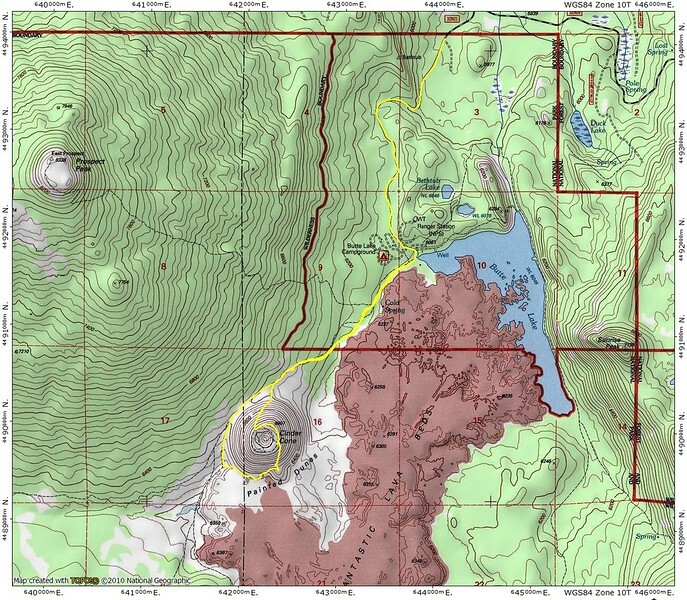 It also helped to have gotten an early start since those unshaded cinders were rapidly on their way to hot and toasty. 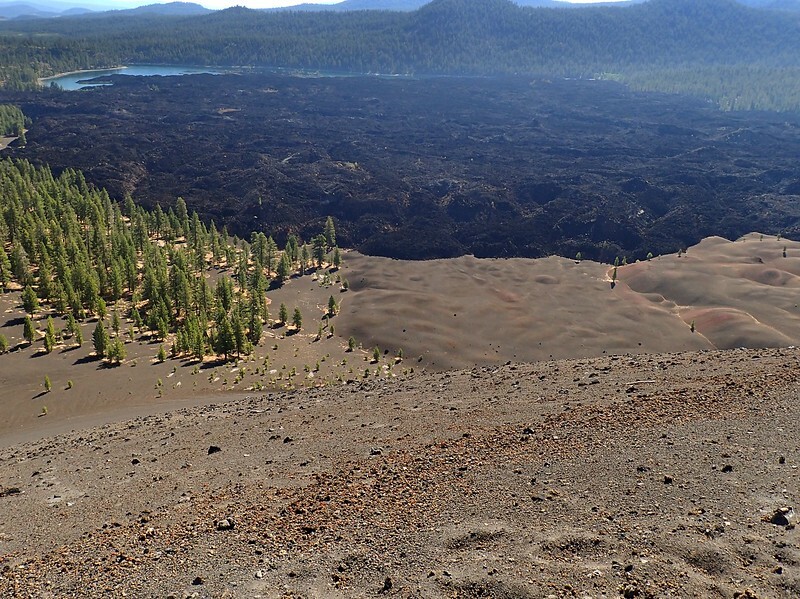 and the Fantastic Lava Beds encroaching on Butte Lake below. 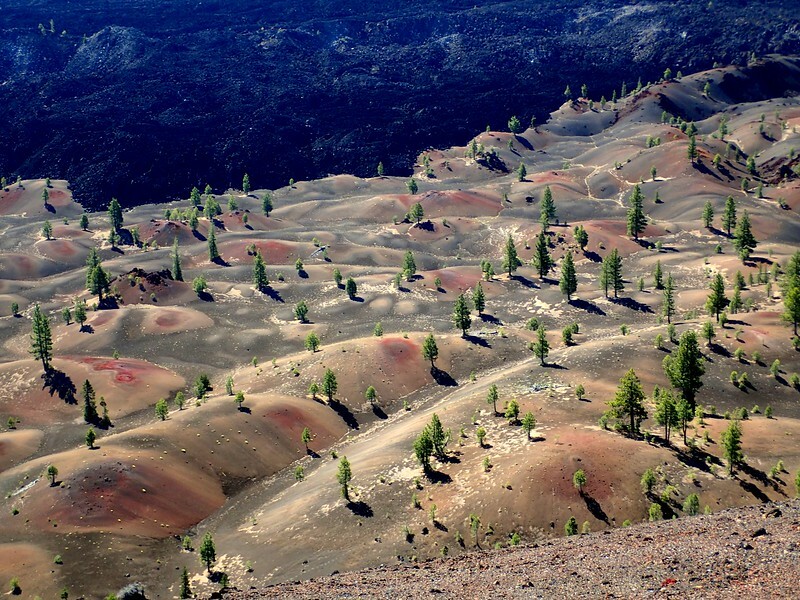 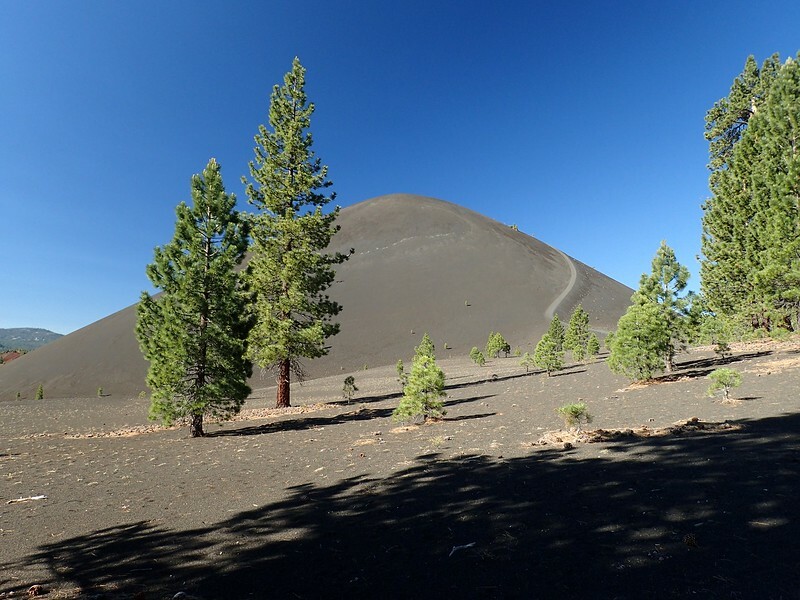 All of the huge piles (50+ feet high in places) of black lava came out of the sides of the Cinder Cone and then parts of it were covered by ash from the Cone to form – after oxidation – the colorful Painted Dunes. 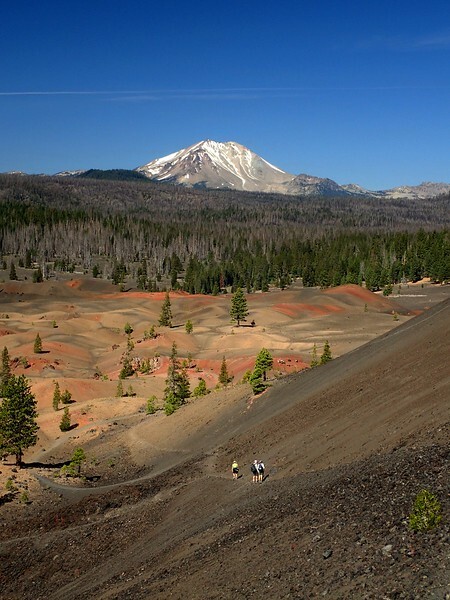 but well worth it for more views of Lassen Peak and a closer look at the Painted Dunes. 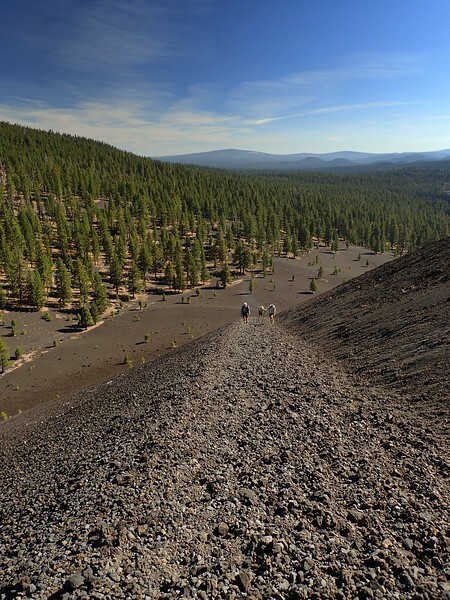 A short (4 mile round-trip; 850 foot elevation gain) hike to a neat summit with views of what are truly fantastic lava beds! 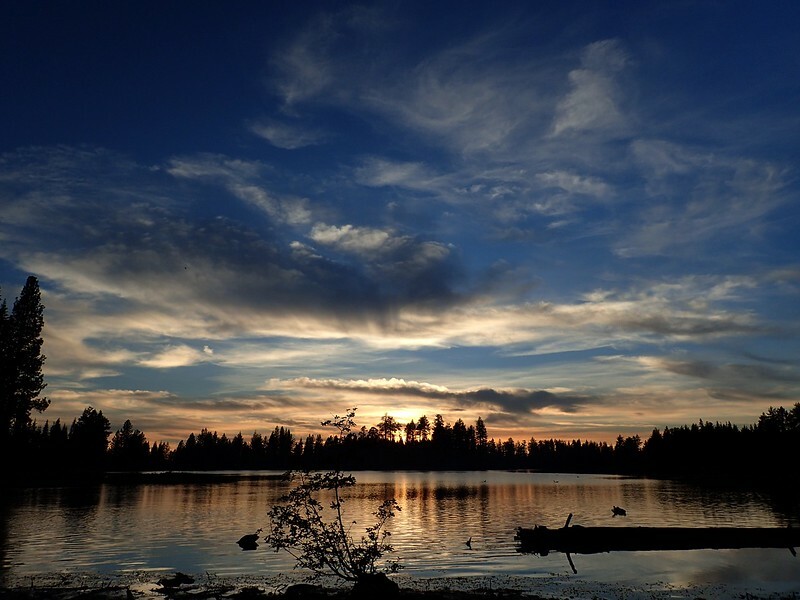 On our last night, a few clouds crept in over Manzanita Lake (where we camped) to give us a colorful conclusion to what had been three wonderful, perfect weather days for our explorations of the Park.